So, you have a missing tooth problem. It’s okay, there are a lot of patients that are in your shoes. Missing teeth can be brought about by many factors, but it’s important to do something about it. Missing teeth can be downright terrible for your oral health. There are plenty of reasons why, and we’ll get into those a little later. Missing teeth can be the difference between a healthy and unhealthy mouth. Those spaces that are left by missing teeth are like parties for bacteria to attend. Any type of bacteria that sits and gets comfortable in your mouth can lead to infections and other dental problems that can become quite costly and detrimental to your overall health. At our office in Monroe, LA, we specialize in offering dental implants for our patients that are struggling with missing teeth. They can give you the smile you’ve always wanted without the horror that missing teeth can present appearance-wise. Plus, a beautiful smile can give you the confidence you need to go out in the world and get things done. Dental implants can give your mouth the health and stability it needs so you can smile beautifully and comfortably for years to come. 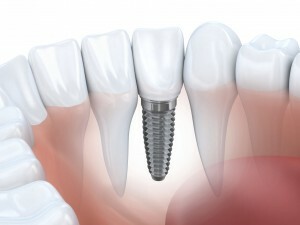 What’s The Big Deal With Dental Implants? Dental implants are a huge deal. They cover up what missing teeth leave behind. Plus, they’re permanent, too, so you won’t have to worry about these bad boys every disappearing. Did you know your oral health plays a major part in the wellness of your overall being? It’s true. If infections caused by missing teeth go untreated, you’re pretty much asking for other risks to happen to your overall health, including stroke, diabetes, cancer and more. These are not things that you want to mess with, so it’s imperative that you receive treatment for missing teeth as soon as possible. When you want to receive a procedure, naturally, you want to see and feel benefits. You want to know that the path you’ve chosen is worthwhile. When you opt for dental implant treatment, your giving your mouth a reason to be happy. Your jawbone, first and foremost, is restored. Think of your jawbone like the foundation for many skyscrapers (teeth). If the foundation is crumbling or not sufficient enough to hold the weight and structure of teeth on its own, it’s going to crumble. With dental implants, your jawbone is restored to its natural strength and can finally provide the relief you’ve needed for years. A healthy jawbone equals a healthy mouth, and healthy mouths are what we like seeing the most. The only way to see if you’re a candidate for dental implants is if you come see us at our Monroe, LA office. Our dental team is ready to change your smile for the better and dental implants may just be what you need. We’re proud to offer this service to our neighbors from all over, including Ruston, Rayville, Farmerville, Columbia, South Arkansas and beyond.